The weekend kicked off with some of the best wind of the year, chased Sunday morning with a nice breeze before the usual midday collapse when all the fleets decided to call it a day. Many thanks to the Multi-Hull fleet for race committee duty under difficult circumstances and the very first time they’ve taken it on. 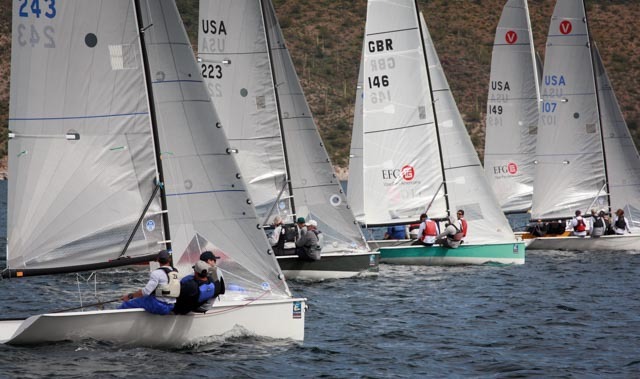 The scores for week 3 at Lake Pleasant are posted on the results page, or click here.